A Building Roam: Wu-Tang Clan's Original (and Better) "A Better Tomorrow"
Wu-Tang Clan's Original (and Better) "A Better Tomorrow"
Following my ranking of the Wu-Tang Clan's catalogue of group offerings, this begins a series of posts based around the new Wu-Tang album "A Better Tomorrow" and the factors surrounding its creation and release. Stay tuned for more this week. For the Wu-Tang Clan's 20th anniversary album, the group's de facto leader Rza intended to craft a record that dealt with the current issues affecting our world today and the dire need for positivity and change for the future. The new album is entitled A Better Tomorrow and features a title track of the same name. That track should have been a "Part 2". 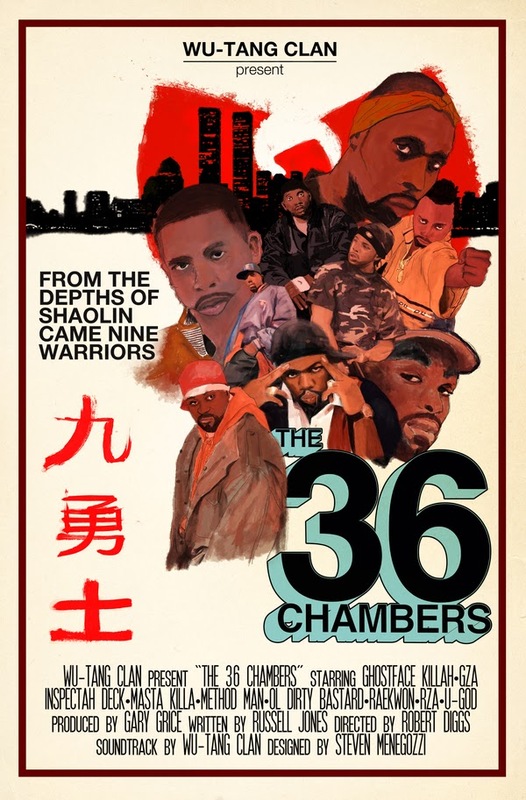 Unfortunately, there is no acknowledgment at all made to the group's previous song with the very same title (and similar message), "A Better Tomorrow" off the Wu-Tang Forever album. Maybe it's because the earlier track, from the Clan's peak period, is of far superior quality to anything on the new album. The original "A Better Tomorrow" manages to be sentimental and positive, while keeping it raw. Produced by notable Rza student 4th Disciple, the beat on the 1997 version of "A Better Tomorrow" features a classical piano melody (in a delicate key 4th Disciple used to great effect a few times in that period) and somber strings over a thick bassline and sharp snares. It has a dark feel to it while genuinely presenting a positive and hopeful message. Lyrically, it has to be considered up there with the finest Wu creations ever. Whereas the new record is being almost universally criticized for often sounding cloying and forced in its message of upliftment, each emcee on the '97 classic crafts a heartfelt, ridiculously thoughtful verse, starting with the potent poet Inspectah Deck: "It's hard to keep control/ I bless those who seek a scroll/ Trying to reach a whole nation and break/ the sleeper hold." Incredible how that last line speaks to today, with the world's attention and ire focused on the Wu's homeland of Staten Island (Shaolin) where a "sleeper hold"/chokehold was applied by a police officer to kill a harmless man. - You people are all trying to achieve the impossible! - That's exactly what we've done. - But you'll fail. And you'll all die. That perfectly captures the tone of this song and the message of striving for a better future, fighting for necessary change, relentlessly. It also doesn't come across as corny at all, unlike so much of the material on the newer release. The line "One flew astray, and it caught my little seed" is a reference to U-God's son Dante who, at the age of two, was struck by a stray bullet in the middle of a crossfire shootout in Staten Island. I learned last year that my girlfriend's mother actually had young Dante as a student in second grade. She tells a story of how the partially paralyzed boy first came to class and was introduced to everyone, explaining to his fellow 2nd graders what a crossfire is. You can watch Method Man, Rza, and ODB tell Arsenio Hall the story of what happened to U-God's son in this video (circa 1994 or 95---notice also the current significance of their directly addressing the epidemic of police brutality back then).